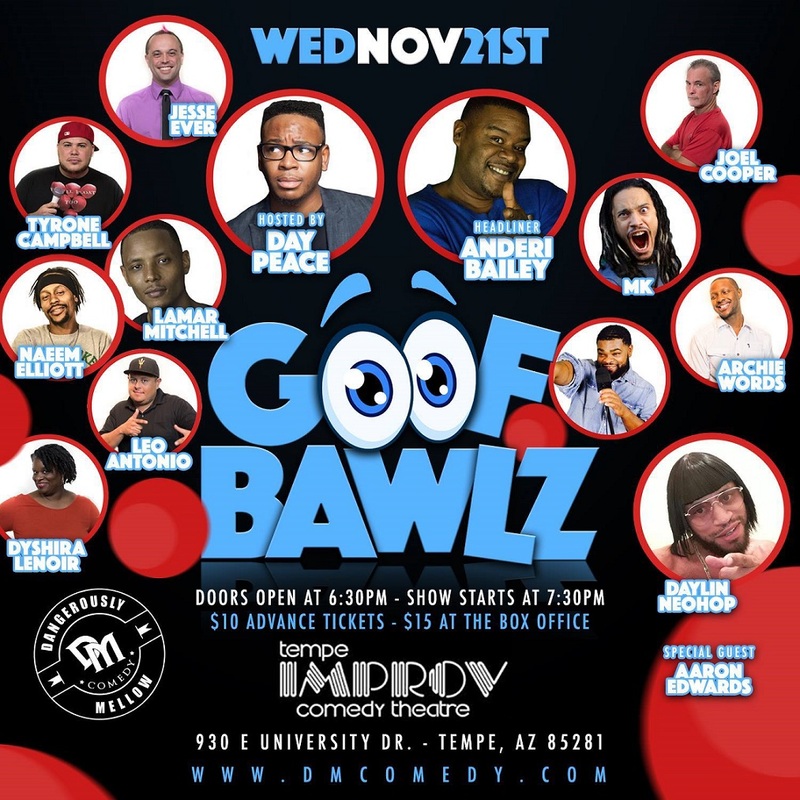 Dangerously Mellow Comedy presents GOOF BAWLZ COMEDY. Featuring a select group of some of the best up and coming comedians in the Valley. The Phoenix Comedy scene has been bursting with new comedians and we're giving them 10 minutes to shine.